(Charlottetown, P.E.I.) – On November 23 @ 12 p.m. Confederation Centre of the Arts will livestream, in both official languages, The 2017 Symons Medal and Lecture. This year the Symons Medal is awarded to the Prime Minister of Canada, the Right Honourable Justin P.J. Trudeau. – Please visit Confederation Centre’s box office in person, or phone 902-566-1267 (toll free at 1-800-565-0278) to have your name added to the wait list. Maximum of two tickets per person. – If any tickets become available prior to the event the box office will contact people on the wait list, in the order that they were added, and if we don’t reach you we will not leave a phone message, and will move on to the next name on the list. – You’re invited to view the 2017 Symons Medal and Lecture in Memorial Hall via livestream (English-language feed). This is on a first come, first served basis. Up to 250 seats will be provided in Memorial Hall for this purpose. – If any seats do become available, patrons in Memorial Hall will be invited to the Homburg Theatre. – Please present photo identification on the day in order to be granted access to the building. 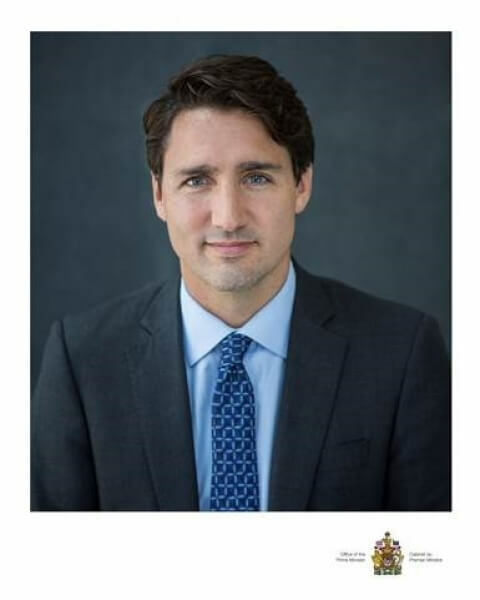 Photo Cutline: The Right Honourable Prime Minister Justin Trudeau is the 2017 recipient of the prestigious Symons Medal from Confederation Centre of the Arts. Mr. Trudeau will receive the Symons Medal and offer his thoughts on the current state of Canadian Confederation in a public ceremony at Confederation Centre November 23 (submitted image). The Symons Medal and Lecture is named in honour of Professor Thomas H.B. Symons, a long-time supporter of Confederation Centre and a Board Governor. Professor Symons, the founding President of Trent University, is widely recognized for his work in the field of Canadian Studies, particularly within public policy, heritage, and education.